Steve Hackett’s new album, Wolflight, was “unleashed” yesterday – Monday March 30th! Have you scooped it up yet? Seen here, Steve and Company enjoyed a lovely release party last night in London as celebration and his camp has also released the first official video for the title song. Check it out HERE. In the midst of his 2015 “Genesis Revisited” tour, Steve is also doing promo for his new album Wolflight, which releases on March 30th. Pre-orders are happening NOW on the official HackettSongs webstore AND to top it off, Steve will be signing all webstore pre-ordered copies! Hurry up and check it out! 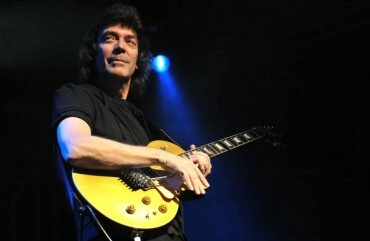 Steve Hackett ‘Genesis Extended’ Rolls On! Genesis Extended was a hit in the tri-state area this past weekend! Here’s a picture of Steve Hackett mesmerizing the crowd in Port Chester, NY on Saturday night. We hear last night’s show in Atlanta was just a blast too! Steve Hackett and his live performance bassist Lee Pomeroy (an accomplished musician and producer in his own right) both garnered recognition at the Classic Rock Society Awards in England last night; receiving Best Guitarist and Best Bassist awards respectively! The 2013 tour of North America ends with a bang! Fans are a’ raving and looking forward to the, now confirmed, follow-up tour, planned for November 2014-‘Genesis Extended’.